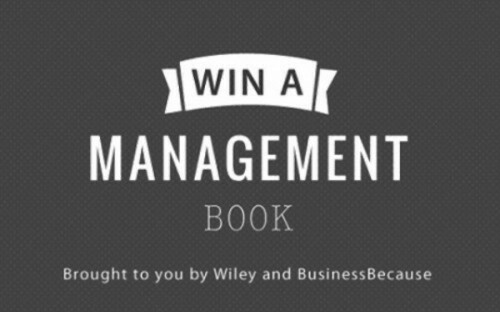 BusinessBecause is giving away a selection of the hottest new strategy books to five lucky competition winners. Enter now by answering a question about global business. Welcome to the 2014-2015 BusinessBecause book competition, in partnership with global educational publisher Wiley. Our competition, which runs each month for the next three months, starting in December 2014, can be entered by answering a question about global business (see below). In our competition at the beginning of 2014, we gave away entrepreneurship-related books to business school students. See below for a list of strategy related books that are up for grabs. Register on BusinessBecause if you are not already a member. Message Tola Shasanya or email tola@businessbecause.com with your answer to the question below – in less than 100 words – and include a link to your BusinessBecause profile. Briefly mention a recent strategic initiative implemented by a multinational corporation that will affect the global business environment in the next two years. In addition, please send in your postal address to Tola Shasanya. Addresses will not be shared with anyone nor held for any extended period of time, and will be used only in the event of you winning the competition. Drawing on the course material developed at Harvard Business School and Yale School of Management by David Collis, International Strategy provides theoretical insight and pragmatic tools that address the decisions facing senior managers in multinational corporations. International Strategy explores the critical differences between domestic and international competition: the heterogeneity of markets in which companies are involved; the volatility of economic conditions that firms face; and the increased scale of activities fostered by global participation. Filled with illustrative examples from a wide range of international companies, International Strategy offers an accessible guide to help managers navigate the myriad decisions they must make in order to create value from their foreign operations, and outperform competitors in an increasingly integrated world. Developed as a companion workbook to John Bryson's best-selling Strategic Planning in Public and Nonprofit Organizations, this book goes beyond making the case for good and effective strategic planning to make strategy visual through effective strategy mapping. Strategy mapping prevents groups of people from talking over one another and going around in circles. It helps people speak and be heard, produce lots of ideas and understand how they fit together, make use of causal reasoning, and clarify ultimately what they want to do in terms of mission, goals, strategies, and actions. With detailed examples, actual strategy maps, process guidelines and hand-drawn illustrations, the book will help leaders, managers, students and other professionals see patterns across missions, goals, strategies and actions while helping to identify areas of alignment and misalignment and determine where elements are needed, missing or not useful in a strategic plan. Gamechangers are brands that have turned the world of business upside down. They win through ambition and innovation, rather than legacy and scale. They out-think the competition, focusing on the growth markets, and embracing technology in more human ways. Gamechangers provides you with the tools to help you generate innovative ideas that will set you apart as a gamechanger. Its detailed case studies will inspire you by exploring extraordinary next generation brands which are changing the game – and winning. Gamechangers is a highly practical book packed with smart "tools" and accompanied by a digital platform, the Gamechanger Studio, to help you apply and implement the best game-changing ideas from around the world into your own business. MBA Jobs Of The Future: What Will The World Of Work Be Like In 2050? When I Retire Competition - We Have A Winner!